After an uncomfortable 11 and a half hour flight (never sitting in the middle aisle seats again! ), it was a relief to land in Bangkok, despite the 32 degrees heat. 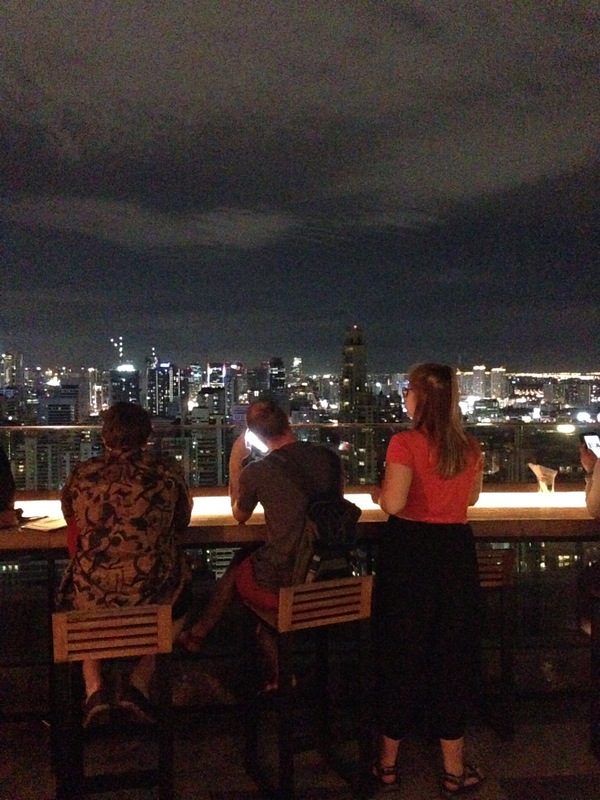 Luckily we’d got a night flight from Heathrow, meaning we landed in Bangkok around 4pm. 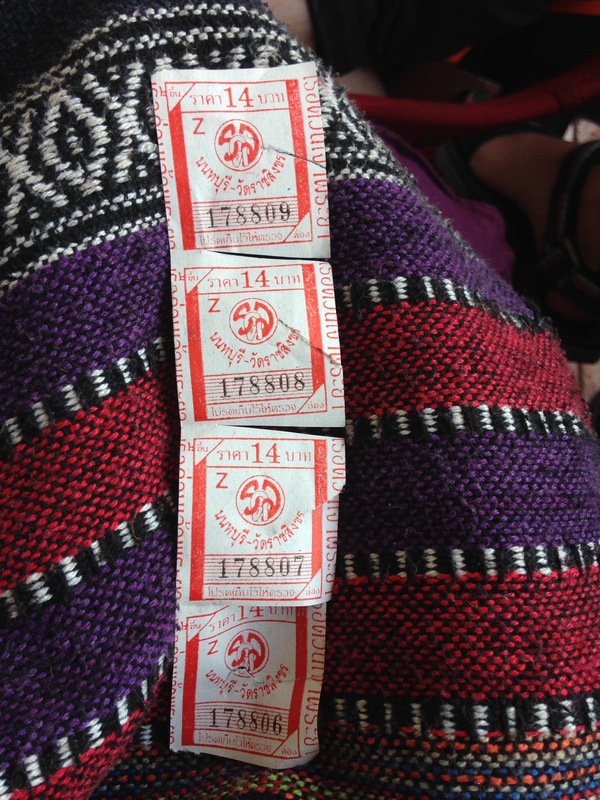 Getting from the airport to our hostel was seamless and only cost 76 baht (less than £2). Using public transport is super cheap in Bangkok and the trains are all air conditioned which made it so much more bearable in the humid heat. 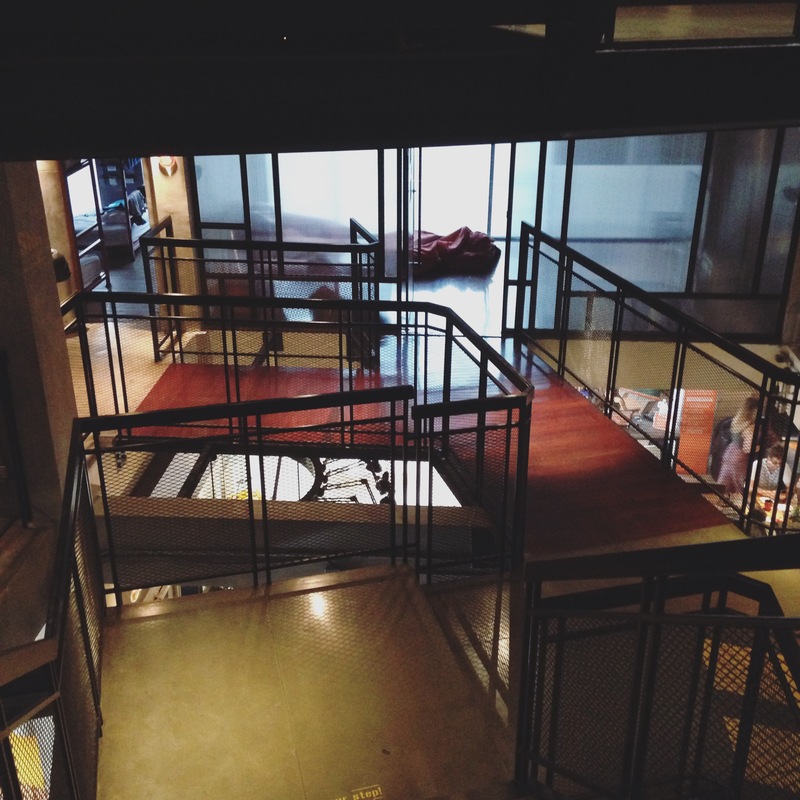 We stayed at Lub D Silom Hostel, which is one of the best city hostels I’ve stayed in. They have free WiFi, popcorn, water, cheap breakfasts, a movie room, comfortable beds and a luxurious bathroom. I was a little apprehensive about staying in my first mixed dorm but it was actually great. The hostel was pretty cheap too, only £7 a night. Travelling with 3 fellow vegetarians makes life a lot easier. We managed to find Sarananna Bhavan, a vegetarian Indian restaurant only a 10 minute walk from our hostel. This north indian thali was only 300 baht and it was probably the best indian I’ve ever eaten! After feeling very full and jet lagged, we crashed out at the hostel. 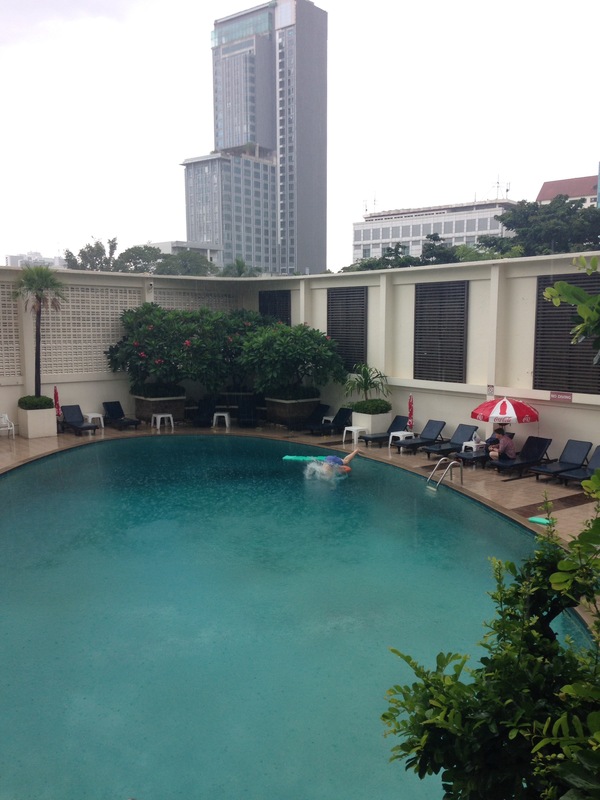 Lub D Silom offers a great deal – 150 baht to use a nearby hotel’s gym and pool for the day. We all wanted to relax after our flight and get used to the heat with the help of a nice cold pool, so we spent the morning swimming and tanning burning. In the afternoon, we walked and sweated our way to the MBK shopping centre, to find Sam some sandals and get ourselves some cheap headphones. Even in shopping centres where the price is listed on items, it’s best to barter. We managed to negotiate the price of all items bought to under three quarters of the listed price, so I really recommend giving it a go! Start by offering half the amount, then work up to the price you want to pay. If the seller doesn’t budge, start walking away, they’ll almost always call you back. 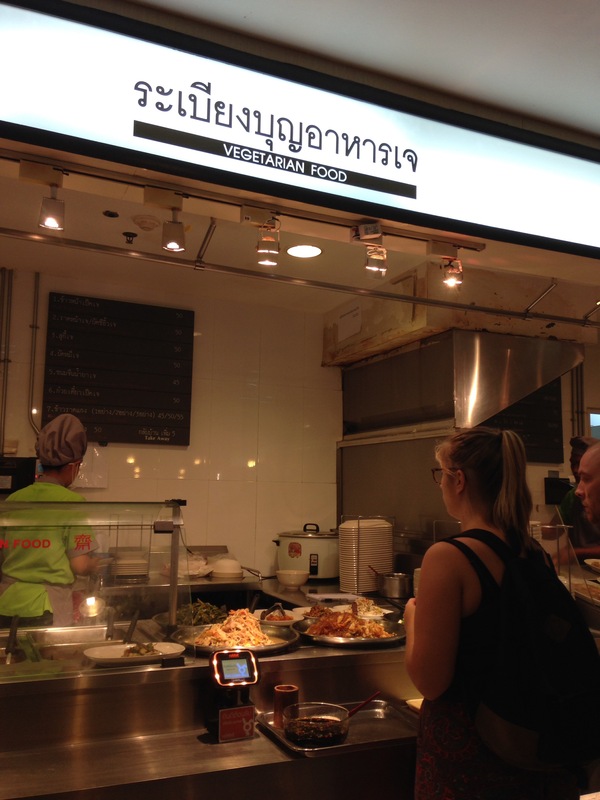 In the food court on the 6th floor, we managed to find a purely vegetarian food stall (number C.07 in case you want to find it) that served a delicious meal for only… 55 baht (£1.20!!!). 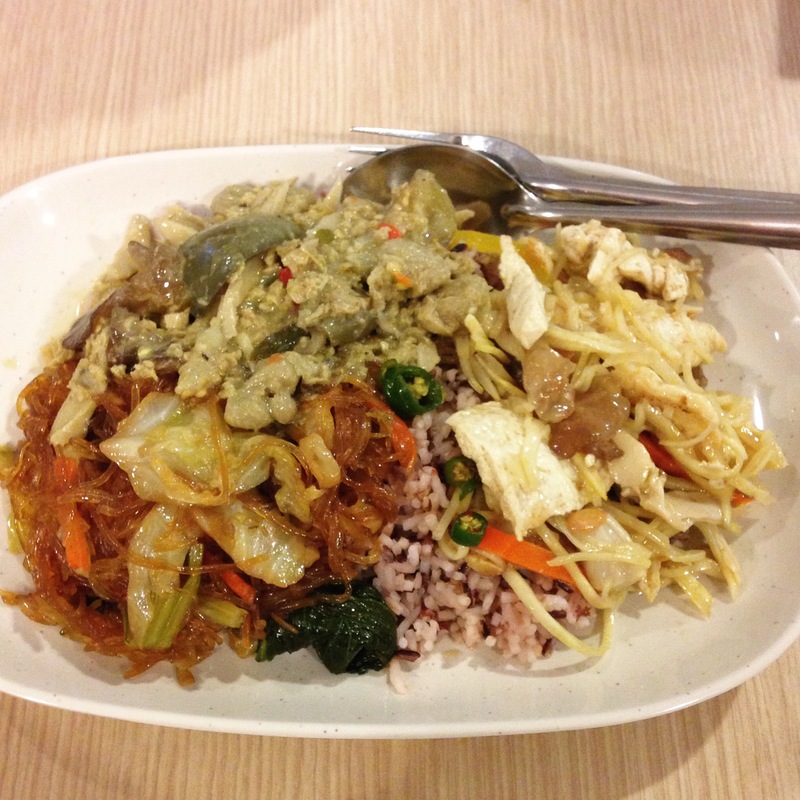 I had rice, a glass noodle tofu dish, green curry and stir fried vegetables and it was delicious. Tip – using Happy Cow to find vegetarian food is mega-helpful. After waking up at 12pm due to a horrific, jet-lagged sleep, we had a quick breakfast then headed out to see some of the city. 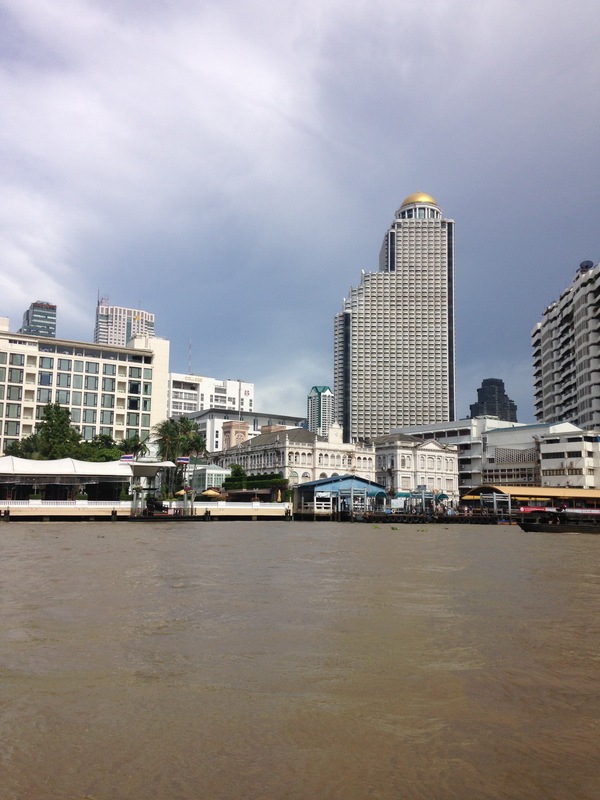 We wanted to cool down and see Bangkok from a different angle so we walked to the river to get on a boat. 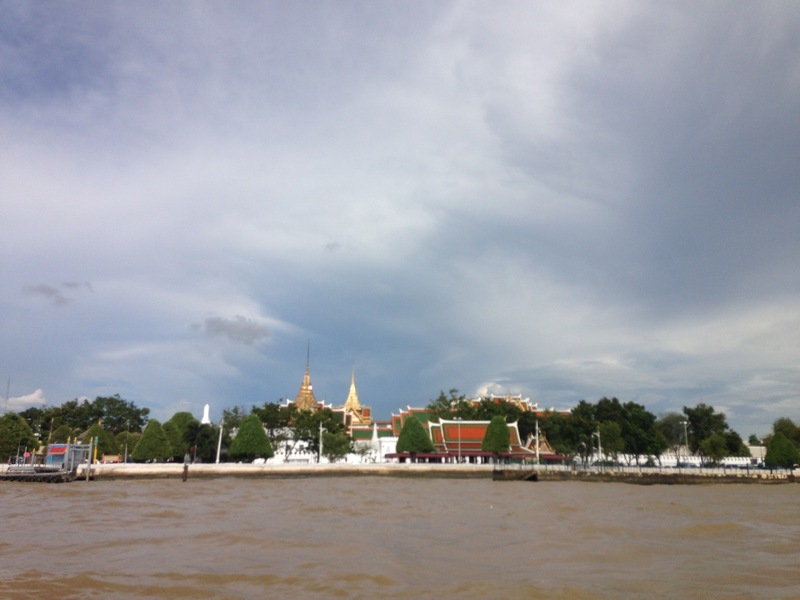 The tourist boat would have cost £2.50 one way, but we took the local public ferry – 30p for a single trip. The boat went the exact same route and stopped off at various stops along the river. We went all the way to the end of the line (is that the right word for boats?!) 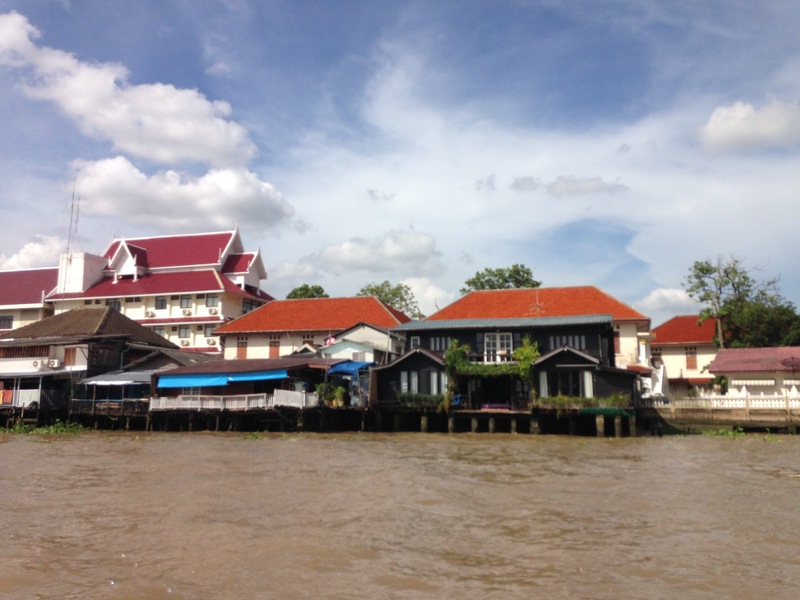 to Nonthaburi then back along the river to the Khao San Road stop. 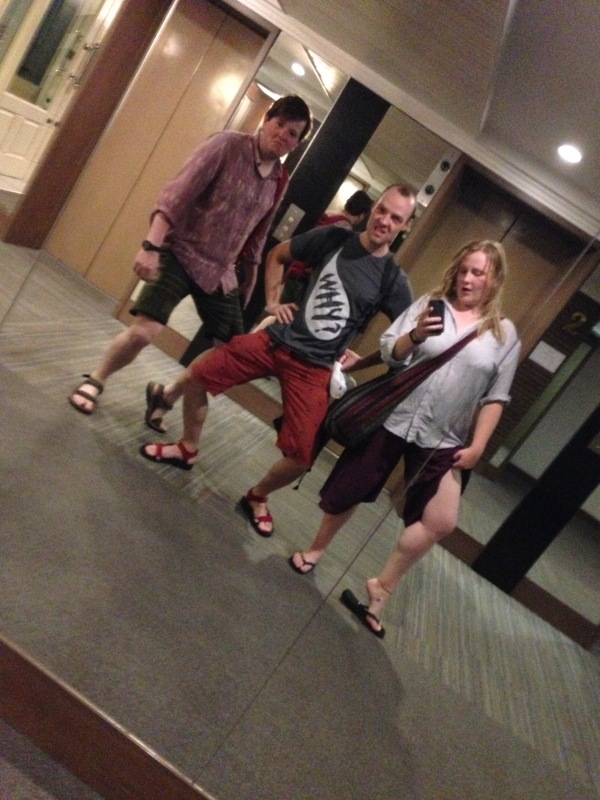 Sam & Emma had never experienced Koh San Road before and to be honest, I don’t think they were missing out! The strip is tacky, noisy and full of a mixture of 18 year olds getting pissed and trying to pull and middle aged people in inappropriate clothing trying to fit in with the 18 year olds. However, the road above Khao San Road, Soi Rambuttri, is still lively with backpackers and travellers but is much less tacky. The road is lined with cool bars, guesthouses and shops selling all the usual stuff – elephant pants, jewellery, chang t-shirts etc. 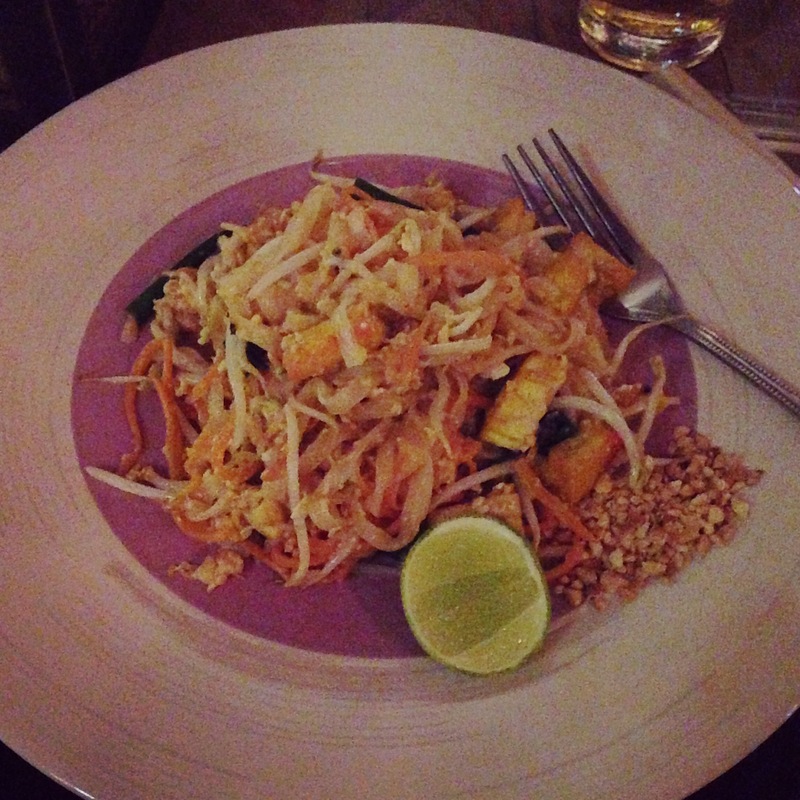 We managed to find some delicious veggie food in Madame Musur – a cool bar that made some tasty pad-thai. Several beers and games of Yahtzee/Uno later, we took a tuk-tuk back to the hotel (Sam’s first tuk-tuk ride!). There was just enough space for the 4 of us, but the guy’s poor engine was struggling. Unfortunately, there were no near misses or crazy driving which is quite unusual for Bangkok. For some reason, I couldn’t sleep properly in the night. I’m not sure if it was jet-lag, the mahoosive thunderstorms or a combination of the both. 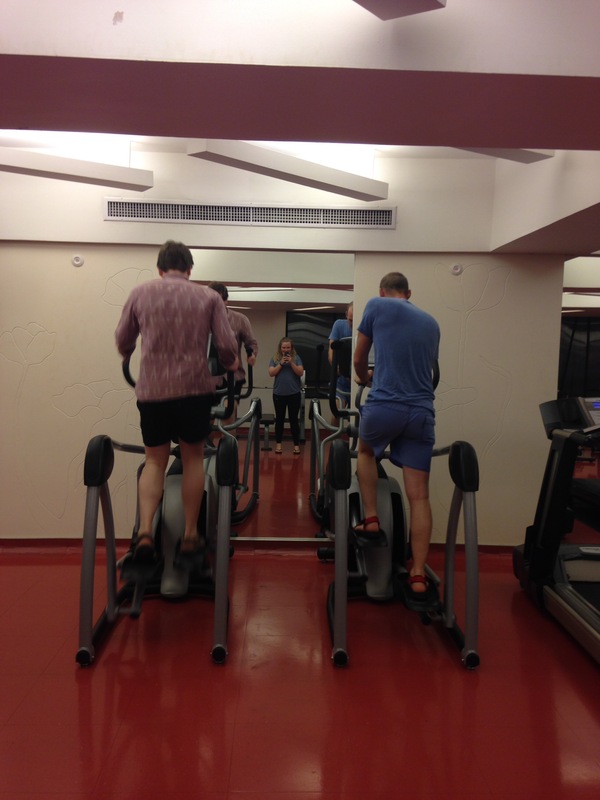 After a late breakfast, I took the lads to the gym/pool (you can never skip leg day right?!). It felt really good to be able to lift weights after a couple of weeks with minimal exercise and swim in an outdoor pool (no sunburn this time!). 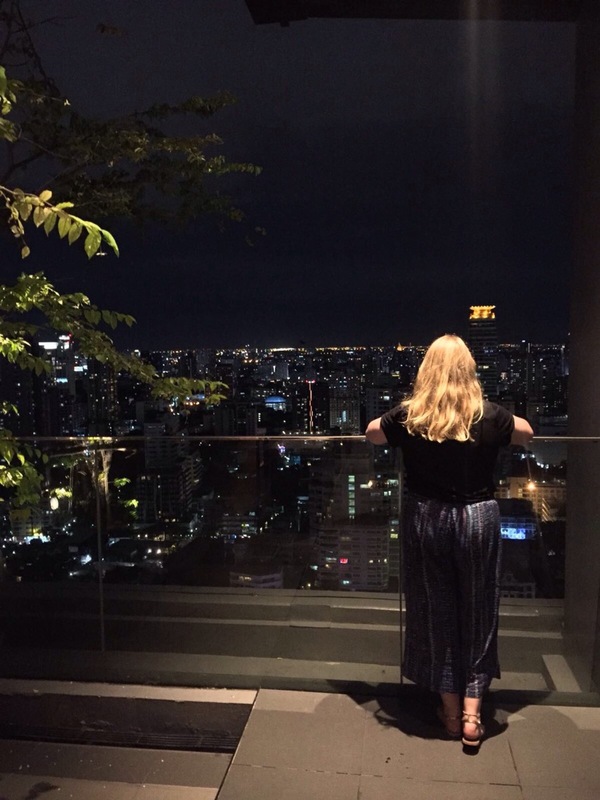 In the afternoon, we rode across town, squished in a tuk-tuk in rush hour traffic (more risky driving this time) to Sukhumvit for dinner and a trip up to a sky bar. We managed to find another delicious vegetarian restaurant, and again I got a thali which was good, but not as good as the first night and more expensive. After dinner, we went up to the Radisson Blu Sky Bar. The views were amazing. 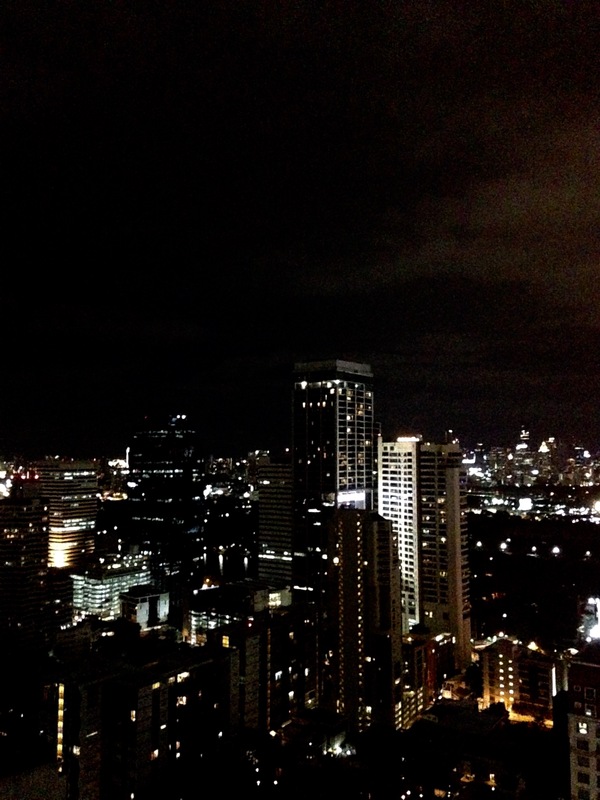 Seeing Bangkok lit up at night really shows how huge the city actually is. We didn’t actually get a drink, which was good for the budget as it was quite expensive in comparison to our hostel. After another tuk-tuk ride back to the hostel, we packed up and attempted to get an early night ready for our 4am departure to the airport for our flight to Bali. Ste, Emma & I didn’t actually manage to sleep so we stayed awake downstairs sweating one out with no air con until it was taxi time. The airport wasn’t great, but we managed to get some veggie food for breakfast and slept for the duration of the flight.